Last week, NASA hit the headlines after its Opportunity Mars Rover sadly died after 15 years on the red planet. 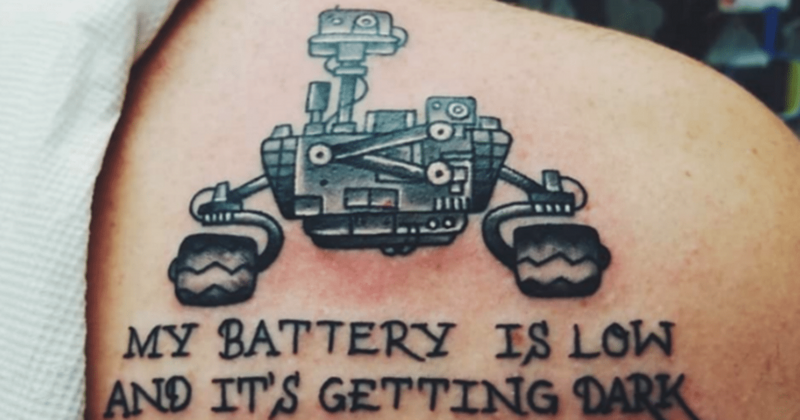 Now, one NASA fan has shown his love for the rover by getting a tattoo of it, alongside these last words. Charles Finch, an author from Chicago tweeted a photo of the tattoo, although its owner remains unclear. While the tattoo is a lovely sentiment, Twitter users were quick to point out a huge error with it. The tattoo actually depicts Curiosity, another of NASA’s rovers on Mars, which is still very much alive and well.